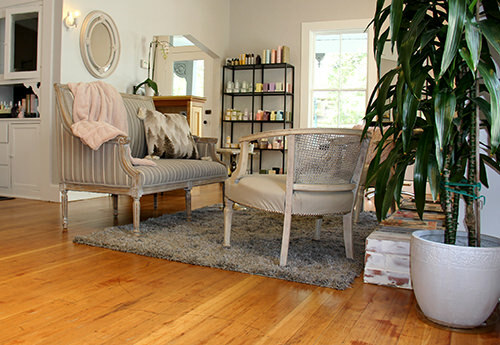 As an experienced beauty professional, it was Estela Buonaccorsi’s lifelong dream to someday own her own salon, a tranquil place with a friendly vibe where her clients could relax and enjoy being pampered. Earlier this year, Estela’s dream came to life in the form of a sweet little spot just off the square in downtown Sonoma. She and her husband Jeff transformed an old Craftsman bungalow into a light-filled oasis of fresh flowers, muted tones, and a modern farmhouse aesthetic. 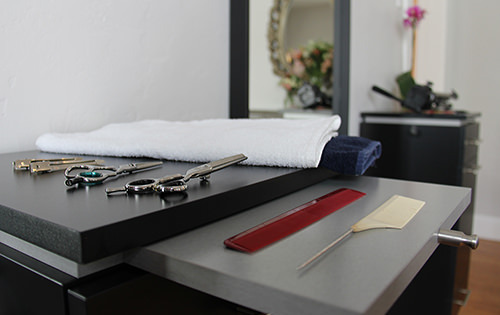 But every new business needs customers, and estela salon lacked a brand, a website, and a social presence—all important ways a small business like this brand-new salon can tell its story, stand out from its competitors, and grow its clientele. 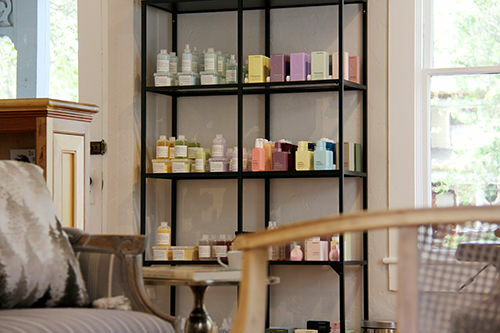 Featuring a modern, open layout and beautiful photography overlaid with the salon’s signature warm pink tones, the site offers streamlined navigation and a dynamic flow that highlights estela's services, provides details about the stylists’ experience, and includes a products section, where we feature Estela’s affiliation with BeautyCounter. We also designed a special Instagram feed to keep the site feeling fresh and filled with inspiring new images of clients’ styles and her own salon vignettes. Finally, we created new SEO for each section of the site to significantly improve estela salon’s all-important search rankings. Next, we turned our attention to creating an on-brand Instagram presence and a business Facebook page, where new and existing clients can enjoy that special estela salon feeling—even between salon visits.